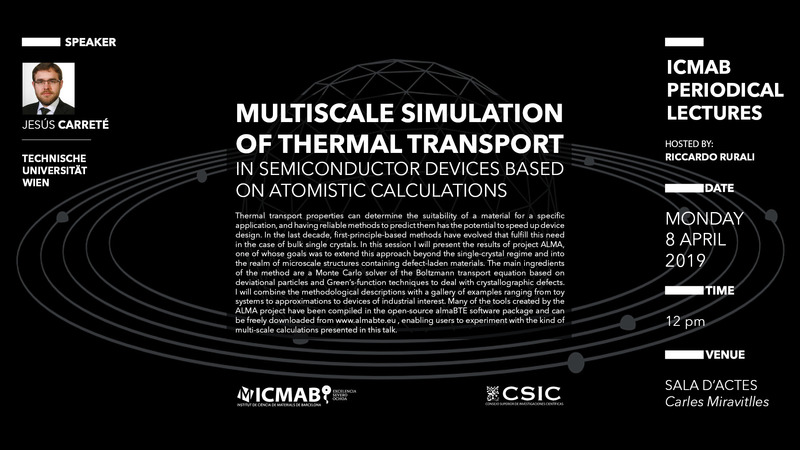 Thermal transport properties can determine the suitability of a material for a specific application, and having reliable methods to predict them has the potential to speed up device design. In the last decade, first-principle-based methods have evolved that fulfill this need in the case of bulk single crystals. In this session I will present the results of project ALMA, one of whose goals was to extend this approach beyond the single-crystal regime and into the realm of microscale structures containing defect-laden materials. The main ingredients of the method are a Monte Carlo solver of the Boltzmann transport equation based on deviational particles and Green's-function techniques to deal with crystallographic defects. I will combine the methodological descriptions with a gallery of examples ranging from toy systems to approximations to devices of industrial interest. Many of the tools created by the ALMA project have been compiled in the open-source almaBTE software package and can be freely downloaded from www.almabte.eu , enabling users to experiment with the kind of multi-scale calculations presented in this talk.